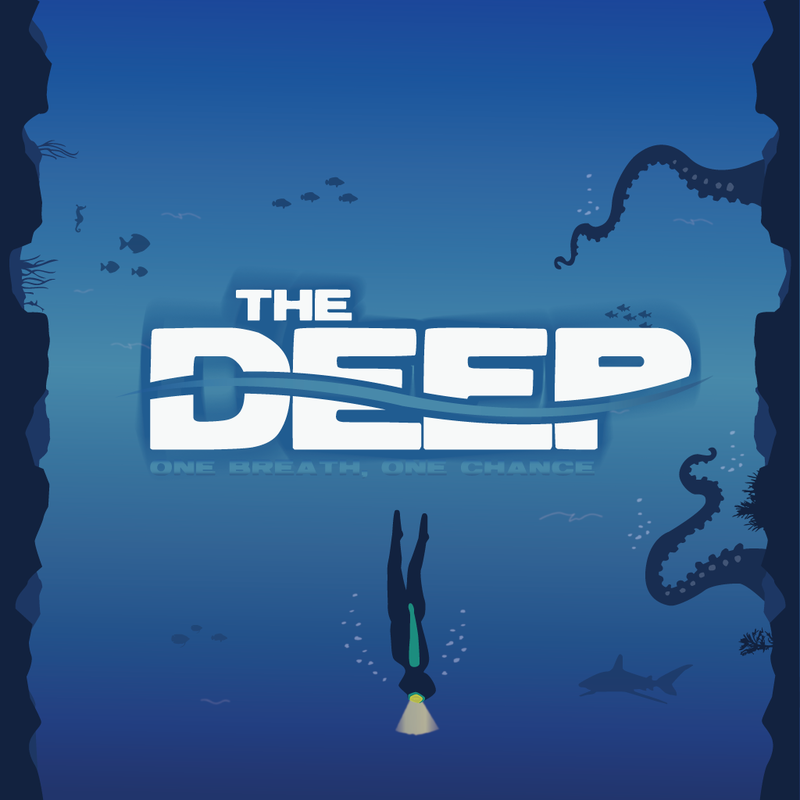 Welcome to The Deep — a game in which you enter the perilous world of competitive freediving. How long will you be able to hold your breath as you dive to deeper and more dangerous depths? And will you make it back to the surface, to live to dive another day? The goal of the game is to survive dives of increasingly deeper depths. The catch is that you must do so without the use of a breathing apparatus and relying solely on your ability to hold your breath until resurfacing. Luckily, with each successful dive, you increase your oxygen capacity, thus enabling you to dive for longer periods of time. SWIPE TO SWIM — Swipe down for the descent and up for the return. Accuracy is key; anything but perfect swipes will negatively affect your speed of movement. WATCH YOUR OXYGEN — As you dive to greater and greater depths, correctly judging how much oxygen you’ll need to make it back to the surface is the difference between life and death. Remember: successful dives increase your default oxygen capacity. So dive smart to dive further. DON’T MISS A BEAT — Tap in sync with your heartbeat to slow down your heart rate and oxygen consumption. Bad timing does the opposite.